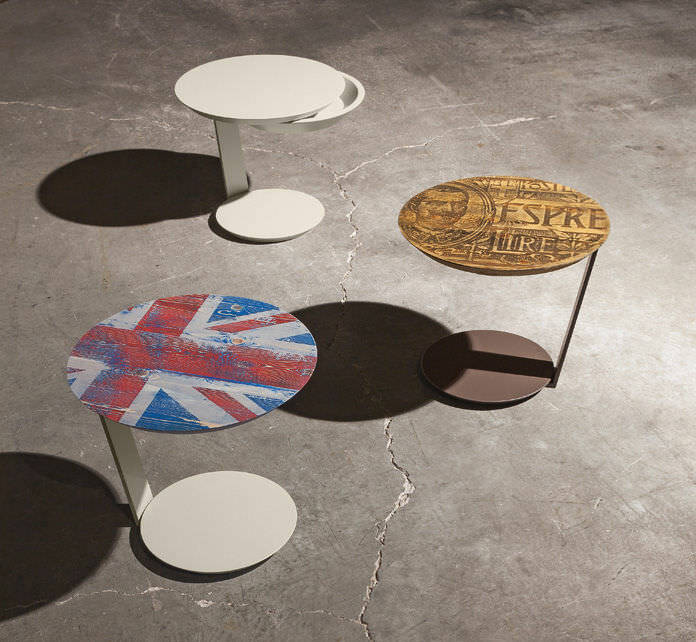 The round Point table is characterized by an essential design that comes from pure geometric shapes. Available in matt or gloss lacquer, the round base is blended harmoniously with the perfectly circular top with, on request, a swivel drawer. The top is available, in addition, with the "vintage" effect, a special three-dimensional finish that that combines digital know-how with handicraft finishes to enrich the home with vintage charm. Each table top looks unique.